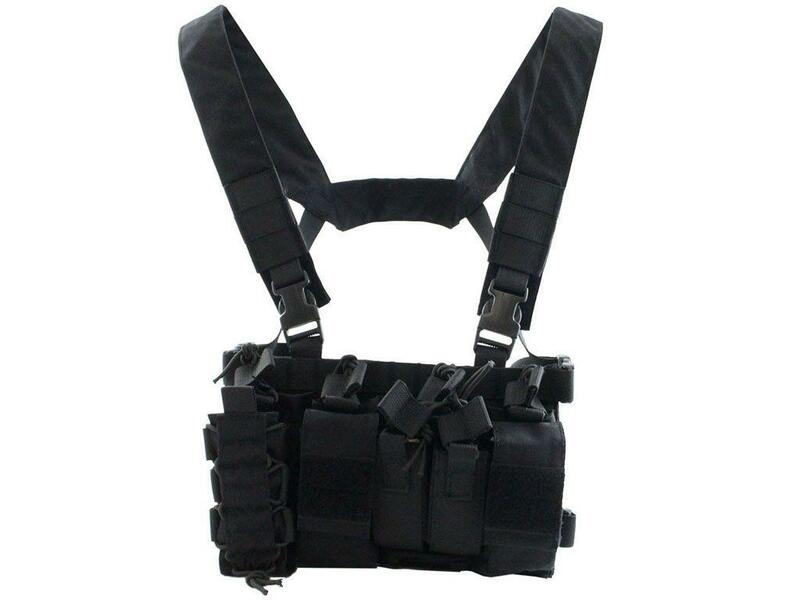 Load Bearing Magazine Chest Rig | ReplicaAirguns.ca | New Website! 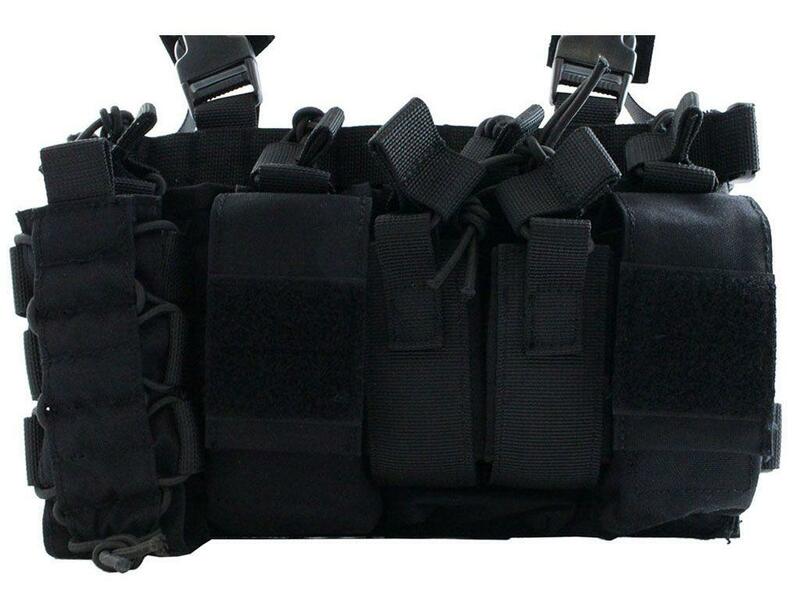 Comments: The Load Bearing Magazine Chest Rig keeps your spare magazines, loose ammo, and other gun gear in the ready position. 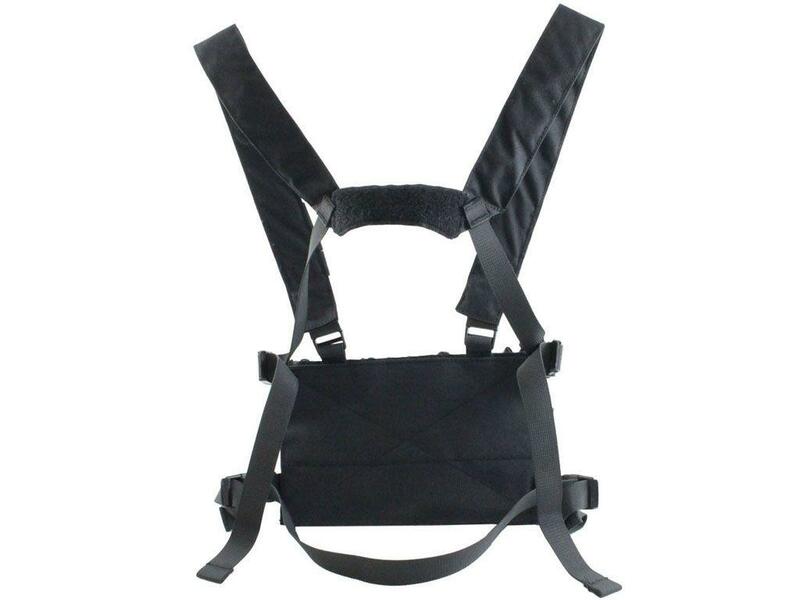 The comfortable nylon shoulder and waist straps are designed to redistribute weight across your chest for maximum efficiency. 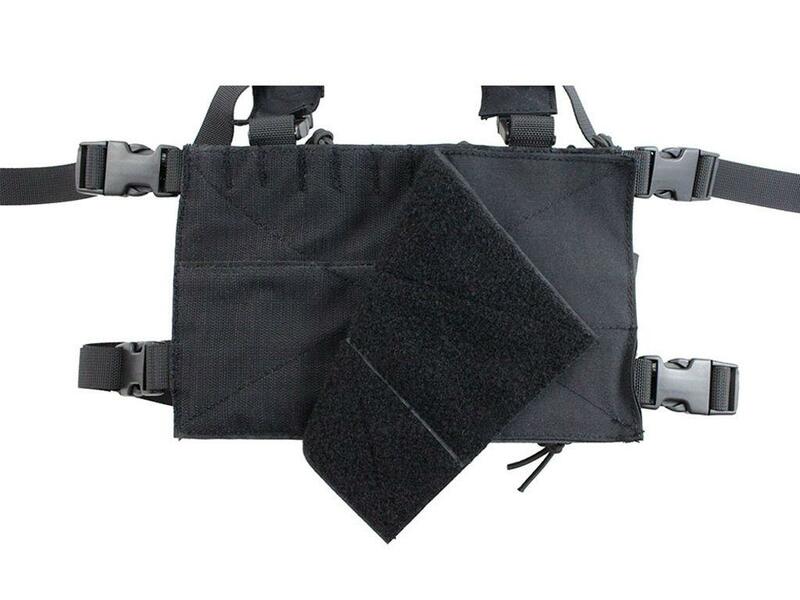 The front panel is equipped with 7 bungee cord retention pouches of varying sizes and 2 hook and loop pockets.